Our property managers possess the tools and experience to occupy properties quickly and efficiently yet maximize your monthly cash flow. Welcome to North Texas Property Management! We work hard to be the best Plano residential property management company, and with service to nearby cities, people consider us the hardest working team of property managers in all of North Texas. If you’re looking for McKinney Property Management, Allen Property Management or property managers in Richardson, Texas, especially those who can help with residential property management of single family homes, give us a call. Read our reviews online as folks often look for Plano Texas property management reviews and are astounded at our reputation! We specialize in single family homes and are known as the top residential property management firm in Collin and Denton counties. If you have rental properties and need a company that works hard to be the best, helping you manage your properties and your tenants, give one of our property managers a call today. If you’re a renter and looking for a property to rent, browse our listings online and reach out to our super friendly staff today. Our ultimate goal is to not only become the top property management company in Plano, Texas, as well as nearby cities like McKinney or Allen, but to be known for changing residential property management industry standards by implementing our unique programs and approach in today’s evolving rental market. 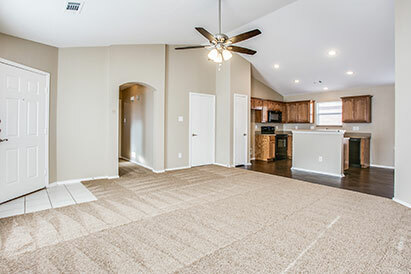 Our residential single family homes are located all over the DFW metropolitan area including the Richardson, Plano and Frisco areas, as well as the Carrollton, Coppell and McKinney and Allen suburbs of Dallas. While never losing site of the most important element of all – our clients – our property managers strive to continue providing unprecedented customer service, and in doing so, we aim to be able to proudly one day call ourselves “The Best Property Management Company in the Dallas, North Texas area of our beautiful Texan state. Jason and his team were introduced to me when I was struggling with my first two rental properties in 2008. North Texas Property Management was able to increase my cash flow which allowed me to quickly purchase more rental homes. Jason and his team are eager to help and extremely investor friendly taking time to help me with suggestions and ideas when I bought the next 3 rental properties. Jason and his staff are very professional, dependable, and knowledgeable. I strongly recommend North Texas Property management to anyone who would like to have a partner who can take care of their investments. I want to take a moment to express my deepest gratitude to the North Texas Property Management team. I am an out of state owner residing in Honolulu. Needless to say, I am in real need of an excellent team who can manage my property from a distance. Jason and his wonderful team stepped in when I most needed expert guidance. Their professionalism, honesty and integrity are beyond reproach. They have made the process seamless in all aspects from marketing, leasing, maintenance and accounting. They are truly the platinum standard and as such I am a “stress free” homeowner. I feel so strongly about how devoted North Texas Property Management is to there clients and how dedicated the entire team is to their profession that I wanted to share our experience with anyone looking for a reliable property management company. Thankfully, someone referred us to North Texas Property Management and we were spared having to experiment until we found the right fit for us. Hopefully this testimonial will achieve the same goal and convince some folks to give you a try. The one thing I know for sure is that they will not be sorry they did. I think what sticks out most about North Texas Property management is the integrity and reliability they bring to the table; two qualities which seem to be disappearing traits. North Texas Property Management has always surpassed our expectations while under-promising and over-delivering in every aspect of their business. Another major point I like about North Texas Property Management is they always take the time to educate, explain the options, and answer all the questions (and believe me there were a lot of questions the first time we met). Since then the level of trust has become so great, we just give the team at North Texas Property Management free reign of our properties to do what they do best. I am extremely impressed that North Texas Property Management came out the day I called and provided me with a free rental property evaluation of my home. Your company is very efficient and professional. Your company is very knowledgeable about marketing strategies, and you know how to work with people on leasing, selling and the buying side of the transaction. I truly appreciate a real estate professional to work with. Thank you for all you are doing for me. I wanted to let you know that you have been a god send to my company. Before you arrived with your service, we had difficulty in keeping homes because of time constraints to get them rented. The service that you offer goes above and beyond what anybody else can do. Now we are able to retain as well as acquire more investment properties. Because we know that you will come through and get a tenant in there right away. I would highly recommend any investor to your company that is looking for a service that can get tenants in properties quickly, efficiently, and with incredible cash flow. The work North Texas Property Management did for our business calmed our nerves about investing out of state. Doing business in Texas from California takes some effort and can be costly if you are ill prepared. When we hired North Texas Property Management they stepped right up to the plate and worked their magic. In a few weeks all was taken care of. We no longer had to lift a finger accept to sign a property management agreement. They were quick to respond and very professional. Our properties were marketed properly and leased quickly. We would recommend North Texas Property Management to any investor who is busy investing and would prefer to leave the management piece to someone else. To those who do not know me, my name is Lawrence Caldwell and I have been in the customer service/sales industry for half my life now and have been in every position under the sun, from lowly sales assistant, to lead sales trainer, to sales manager, to just about anything else you can imagine that incorporates sales and I find it refreshing to find someone as professional, punctual and personable as Jason. I have trained sales reps to perform at the top of their profession and truly Jason Marascio exemplifies what it takes to be a top performer in all he does. You can teach someone how to sell just about anything but a natural innate spirit is a true God given talent and cannot be taught, which in fact is what Mr. Marascio possesses. I can honestly say with all fervor that Jason and his team at North Texas Property Management have moved EVERY property I have thrown their way, from the easy to sell category to the “what in the hell were you thinking Lawrence” category. North Texas Property Management has made me look intelligent numerous times in my investments and if you know me you know what a task that is. Jason is a great business professional only to be shadowed by his even greater morals and his intense drive to succeed. I have been doing real estate for a very short time but Jason has made my transition quite comfortable. In closing, whether you are going to sell a home, buy a home, lease a home through Jason, or simply call on him for his opinion or advice (which I do often). Rest at ease, you are dealing with an educated, experienced and genuine individual.